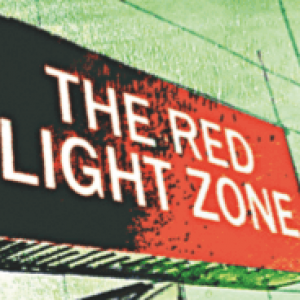 When I was writing The Red Light Zone, I imagined one of my chums going into a book shop, leafing though a copy, finding their name, reading that bit and then … not buying the damn book. That’s why there’s no index at the back. I know my friends too well. Cheapskates, the lot of them. What do your old bosses at the BBC think of you spilling the beans about them? Let’s deal with that first question. I really have no idea what my old bosses are thinking. I’ve heard differing reports, but they range from a sense of mild annoyance that I have dared to laugh at some of the bizarre goings-on I encountered over the past 25 years (and I suspect the bosses in London would be most annoyed by that) to, well, total ambivalence. I’m guessing that with a new TV channel about to launch at the end of this month, the executives in Glasgow have a lot more important things on their mind. As for that second question. Well, this little video captures just about every name mentioned in the book, including those of pets, The Pope and Santa Claus. Yep, they all do get a namecheck. Of course, I haven’t made it easy. If your name is there, it might pass in the blink of an eye.